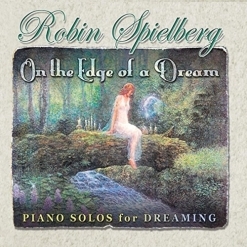 Robin Spielberg’s On the Edge of a Dream is subtitled “Piano Solos for Dreaming” and is quite different from any of her other recordings. Intended for dreaming, contemplation, relaxation, and medical therapies, Spielberg calls this music a celebration of “the nightly voyage from a state of consciousness to the edge of our dreams.” Having kept journals of her very active dream life over the years, Spielberg encourages her listeners to to do the same to gain insight into their deepest desires, fears and relationships. She has created a companion dream journal that can be purchased separately on Amazon or on her own site. As a Celebrity Spokesperson for the American Music Therapy Association for many years, Spielberg has often witnessed the power of music to heal, relax and soothe. She has drawn from that experience as well as her own “nightly voyages” to create an album that is very soothing, open, and always beautiful. 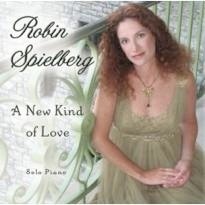 On the Edge of a Dream is Robin Spielberg’s eighteenth album to date. Her catalog is varied and consists of collections of original compositions, Americana, pop music, standards, lullabies, holiday music, a spa album, and several ensemble works. Although she has been improvising at the piano for many years, this is her first album of improvisations. The fourteen pieces were recorded on an 1898 Steinway grand piano and Spielberg makes excellent use of the una corda (soft pedal) and sostenuto pedals to create a dreamy atmosphere that is warm and enveloping (like a cozy quilt!). Not really ambient, most of the pieces are melodic with gentle rhythms - more Impressionistic than ambient. On the Edge of a Dream begins with the title track, a very slow and simple piece that invites the listener to slow down, relax and let go. “We Meet Again” has a hypnotic rolling left hand pattern with a simple, expressive melody on the right. 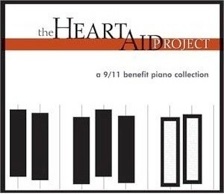 Quite a bit of the piece is played in the upper octaves of the piano, creating a sparkling effect. “Drifting” is very spare and slow, with open space between the notes and chords - also very hypnotic. I love the mysterious “Spellbound,” my favorite track on the album. In a dark, minor key that is more magical than sad or scary, it makes me think of walking around in the dark, feeling like the only person in the world who is still awake. Love it! “Stargazing” has a softly rolling left hand pattern that enhances the brighter, sparkling right. Robin’s effective use of the pedals evokes images of looking into a dark, expansive sky, seeing the brilliance of the stars and moon, and wondering what else is out there. “Calling All Dreamers” begins slowly, with a lively middle section that all but dances for joy before returning to the quieter theme and gradually fading out. “Into the Night” is another favorite. Dark and mysterious without becoming nightmarish, I love the accents in the deep bass of the piano. The second half ventures into the higher end of the keyboard while maintaining the sense of mystery. “Blue Moon Rising” gently brings this lovely album to a peaceful close, although I have a feeling a lot of people won’t make it to the end before dozing off! Don’t fight it, though - wrap yourself in this warm, cozy piano music and sail away to your own dreamworld! On the Edge of a Dream is available from www.RobinSpielberg.com, Amazon, iTunes and CD Baby. A companion songbook and Dream Journal are also available. Very highly recommended!